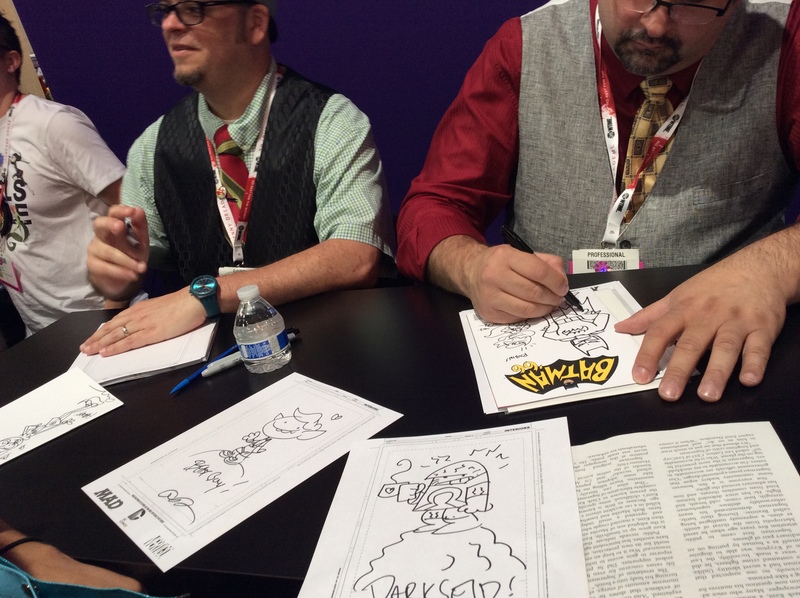 Home » COMIC BOOKS » San Diego Comic Con 2015, Part 2 – Great Creative Minds of the SDCC..
San Diego Comic Con 2015, Part 2 – Great Creative Minds of the SDCC.. 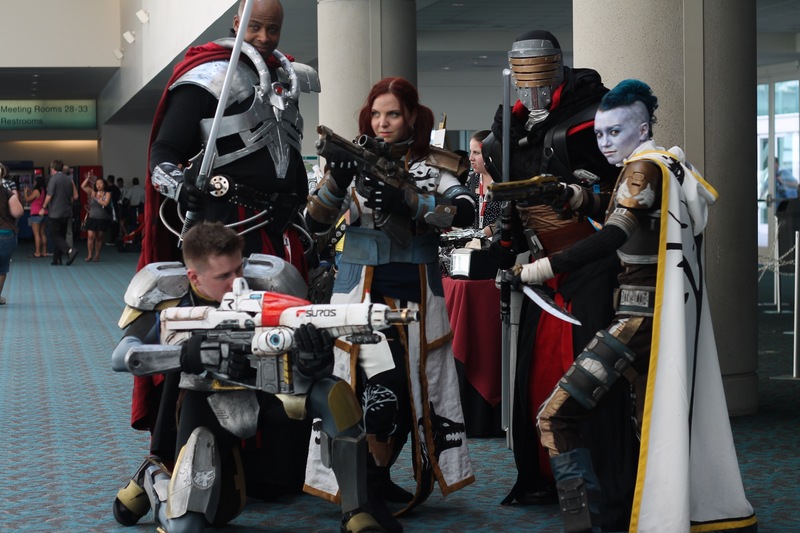 Some of the wonderful people I observed (some met) at this year’s Comic Con! 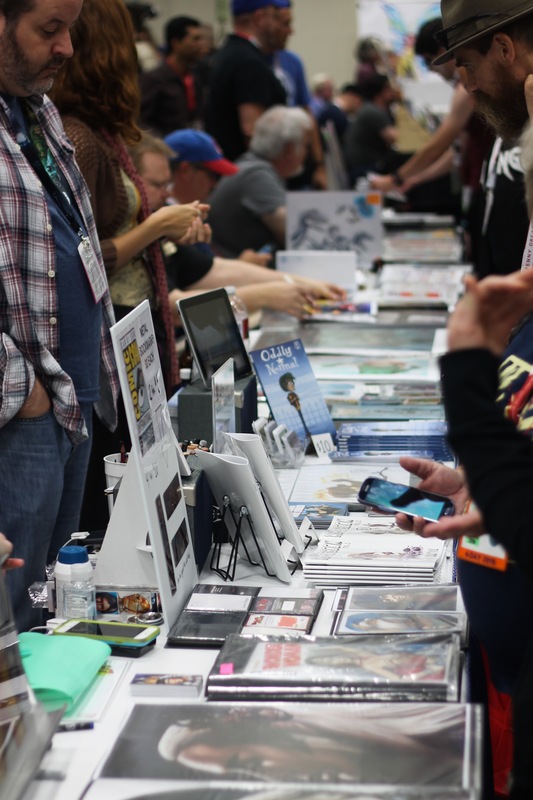 The San Diego Comic Con, where one can meet and be inspired by some of the greatest creative folk in our modern times. 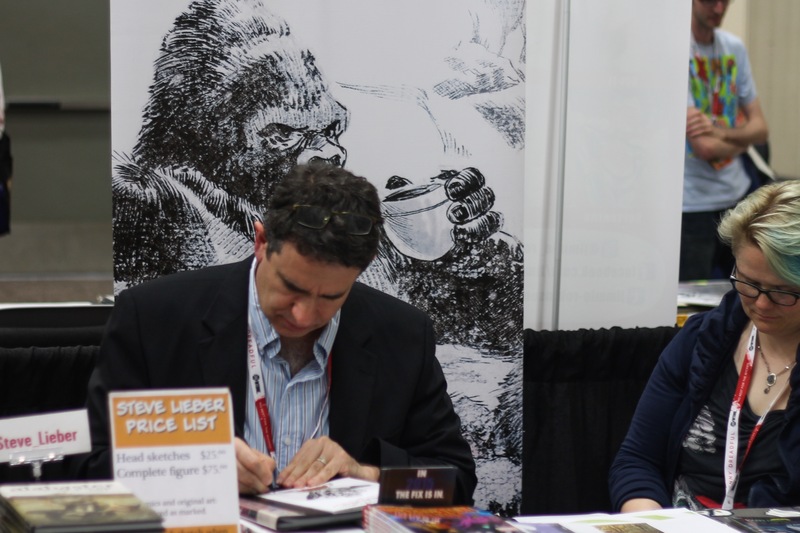 These wonderful people are everywhere; at booths, panels, parties, just walking around. 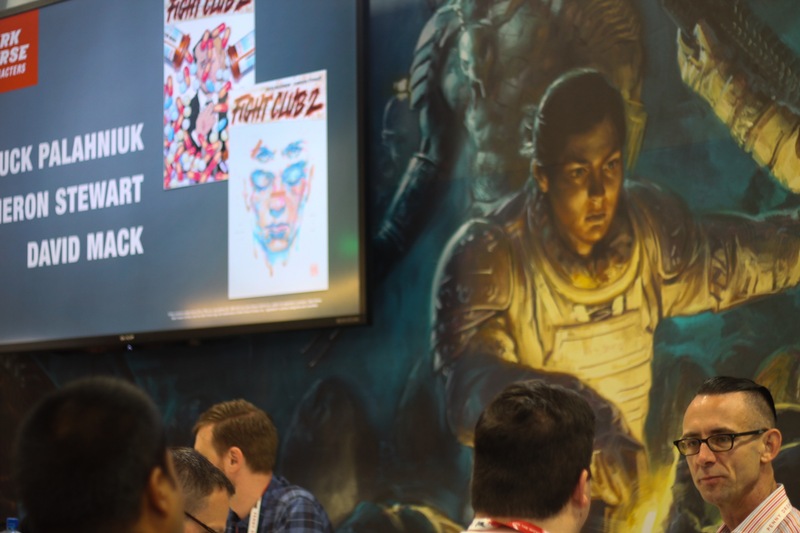 You could meet or be in the same room with a hardworking actor, an accomplished writer, a fantastic artist, an innovative game programmer, a veteran dealer. 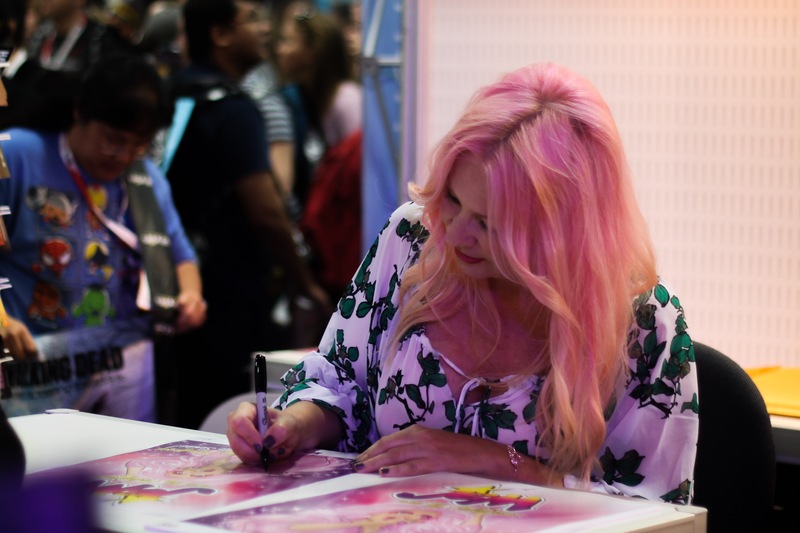 Often times, there are invitations to make some connection, which include purchasing original work, receiving industry advice, answers to questions, getting an autograph, and the sharing countless more insightful and inspirational words. Some are well-known, as others just starting out. Some are there (but not limited to) to promote big projects, while others are there appealing to our inner nostalgic loves. All of which, barely scratch the surface of these exciting interactions of a Comic Con. So below, include my highlighted moments I captured among favorite people observed at the this year’s show. Some are candid, others open themselves and welcome the ongoing audience. 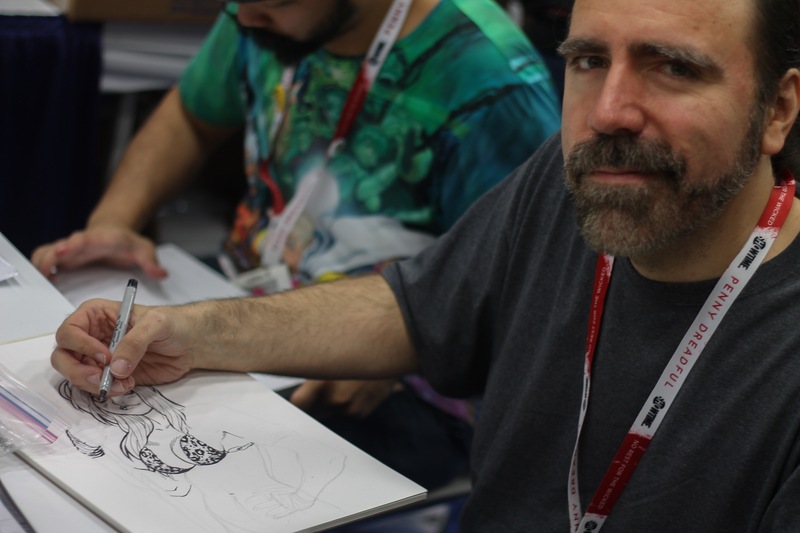 Enjoy, and also consider some of their creative works..
Sunday at the DC Booth, where Art Baltazar and Franco Aureliani (Tiny Titans) did some sketches for patient fans. The Darkseid one is mine! 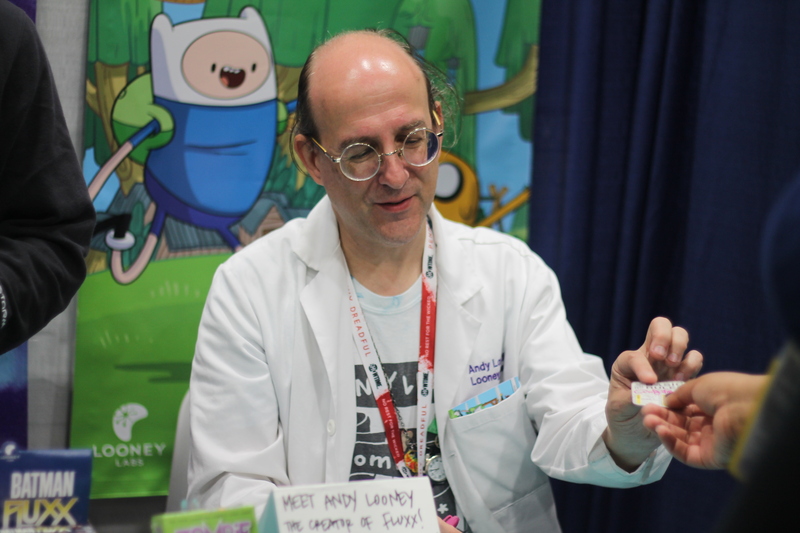 Game designer and creator of Fluxx, Andy Looney! 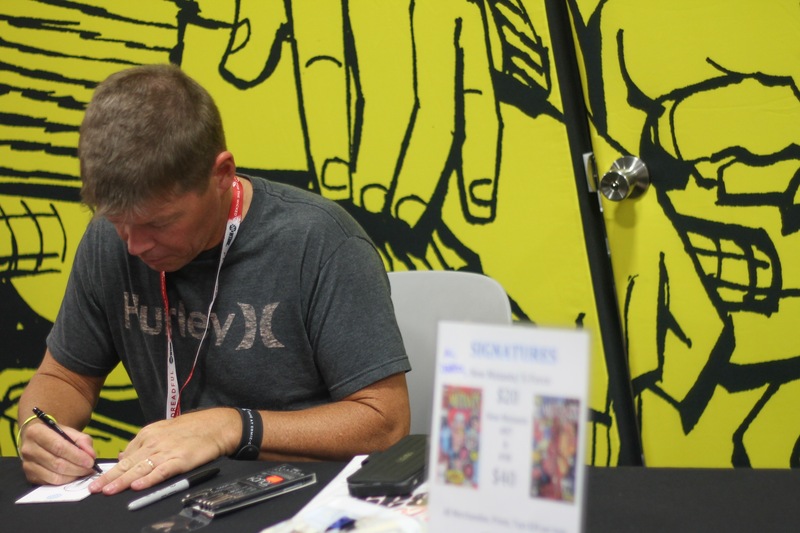 Legendary artist Rob Liefeld. who many love to hate and hate to love. 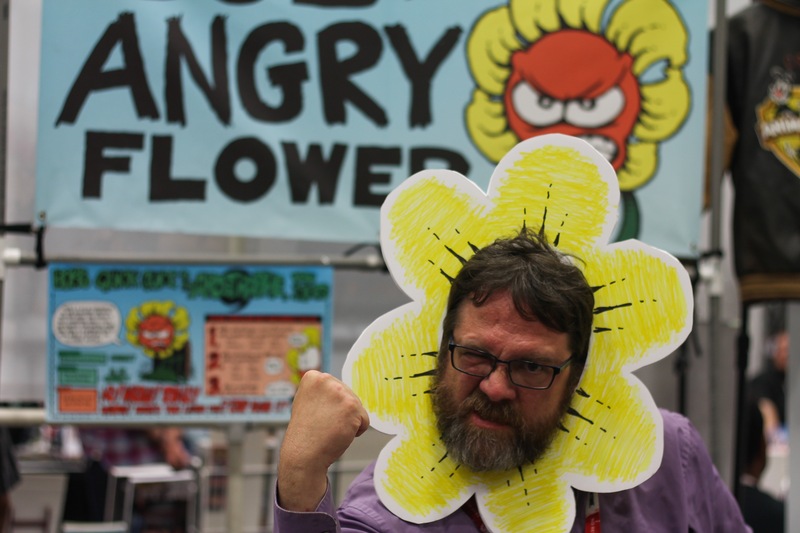 Bob the Angry Flower creator cartoonist, Stephen Notley! 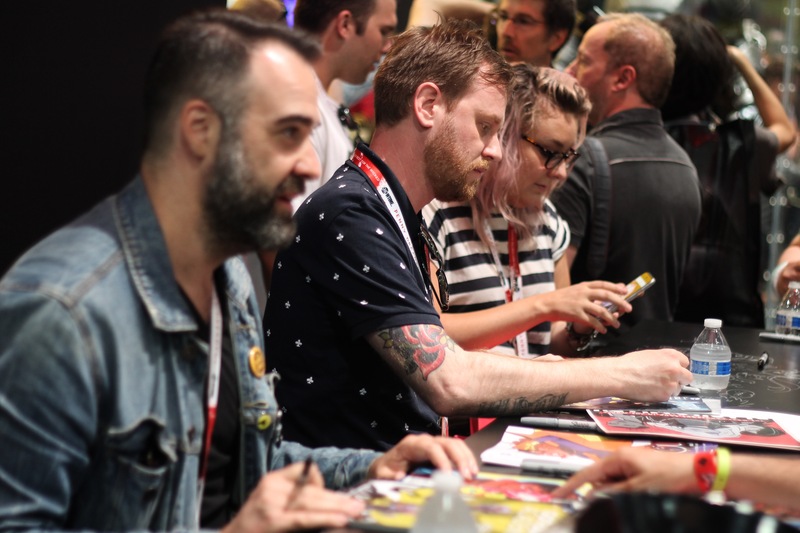 Back at the DC booth..Brenden Fletcher, Cameron Stewart, and Babs Tarr; the current creative team on Batgirl. 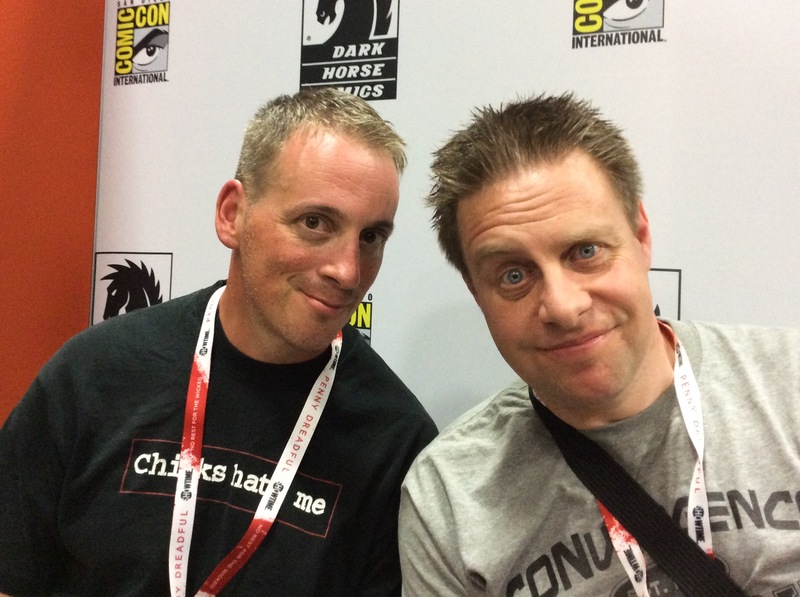 Artist Tony Parker and writer Paul Cornell, creative duo of the new series This Damned Band! I did an awesome interview with them, of which I will share in the near future on SW! 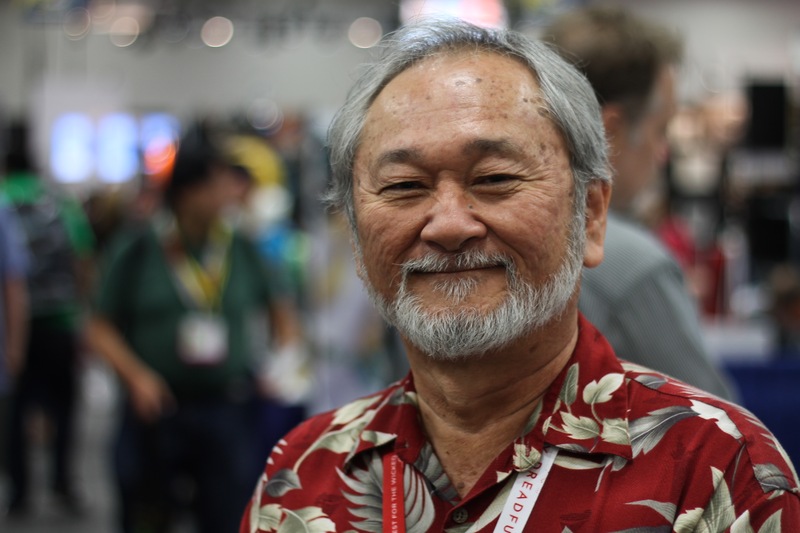 Stan Sakai, legendary cartoon artist/writer/inker/creator of Usagi Yojimbo! We also had a talk, of which I will share soon. Chris Burnham, a new favorite artist of mine and all around cool dude. 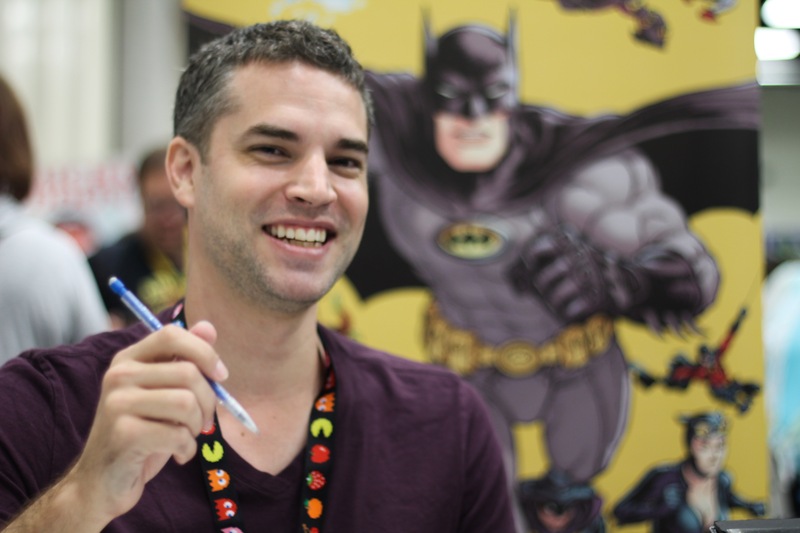 Notable works include Batman Incorporated and Nameless. 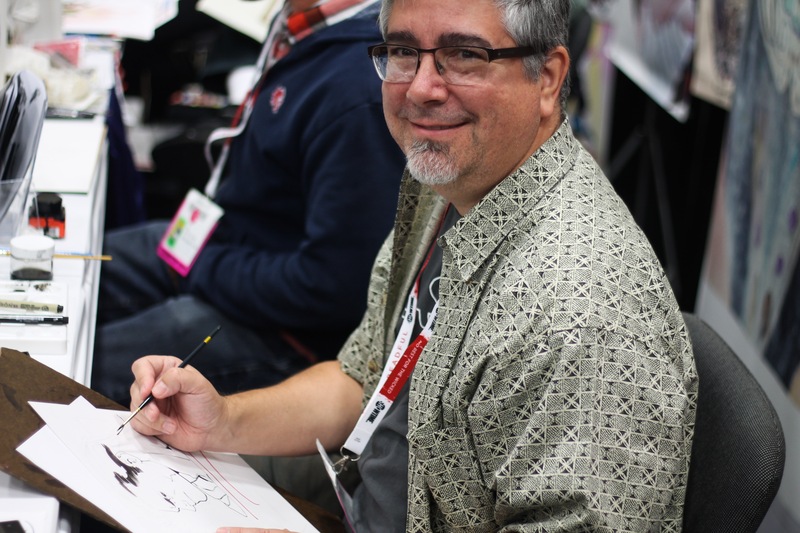 Art Thibert, awesome artist and inker being chill in the Artist Alley..
Samantha Newark, voice actor of Jem form the original Jem cartoon. Was also the voice of the first female Transformer and love interest for Optimus Prime, Elita-One. 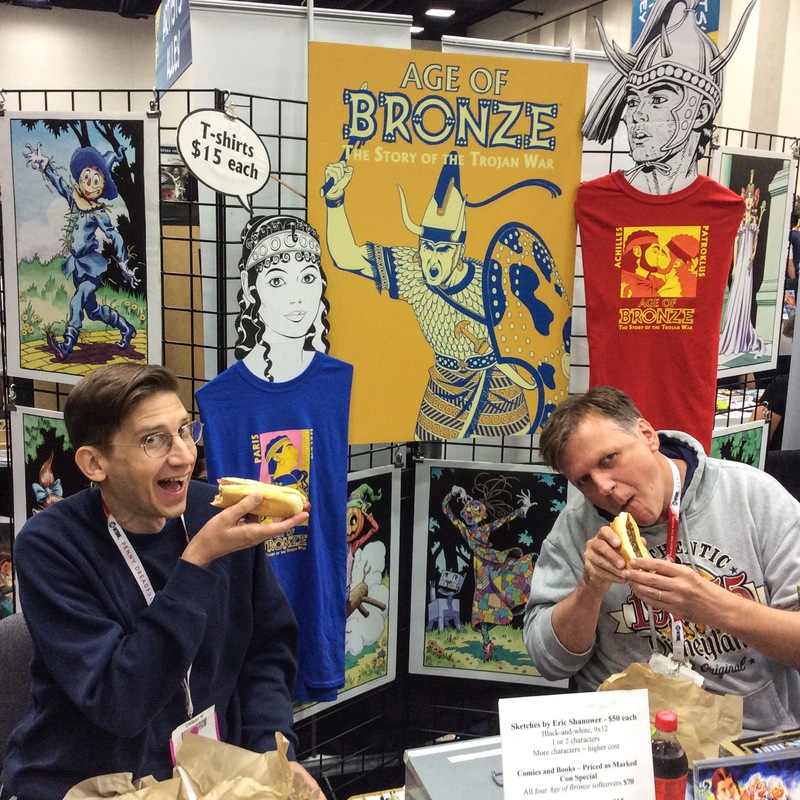 Eric Shanowar on the left (not sure who is on the right), enjoying some hot dogs. 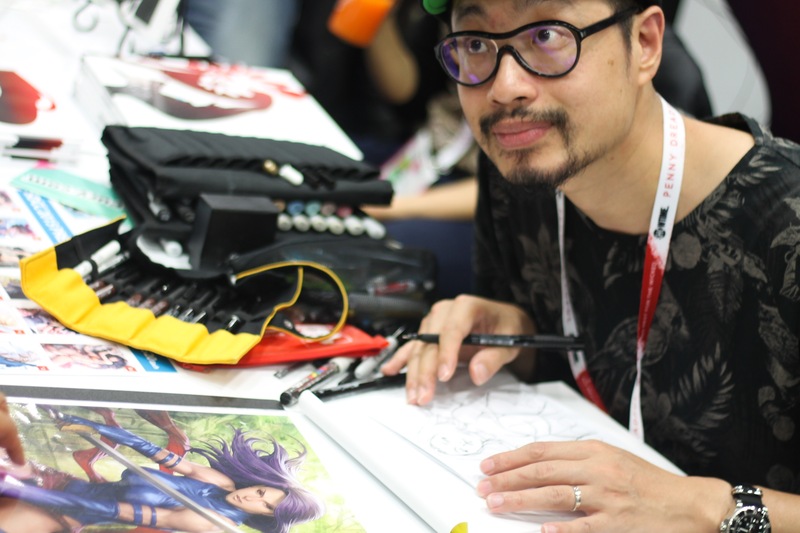 Stanley Lau, also known as Artgerm, shares in his world of art and digital work..
Another legendary artist, Steve Lieber..
Adam Warren (Empowered), working on a Shanna the She-Devil sketch. We also had an awesome interview, to be shared in the near future! A self promoter, name unknown. 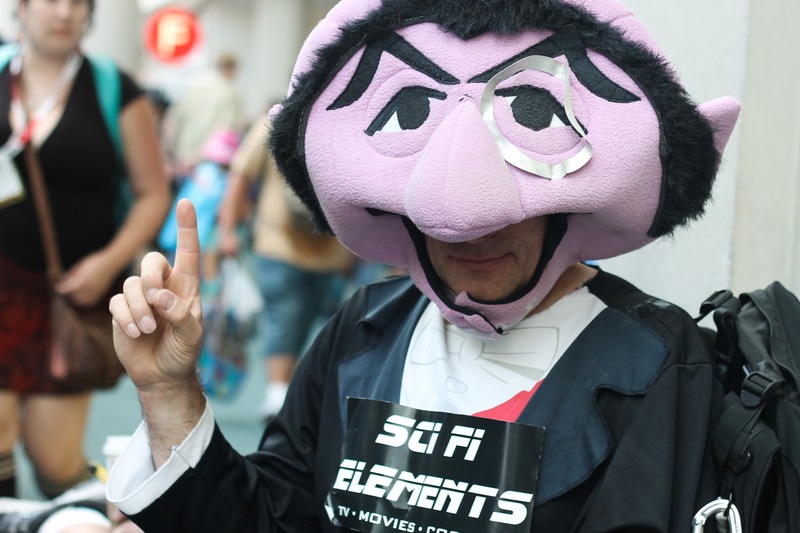 One cool Count costume, ah ah! 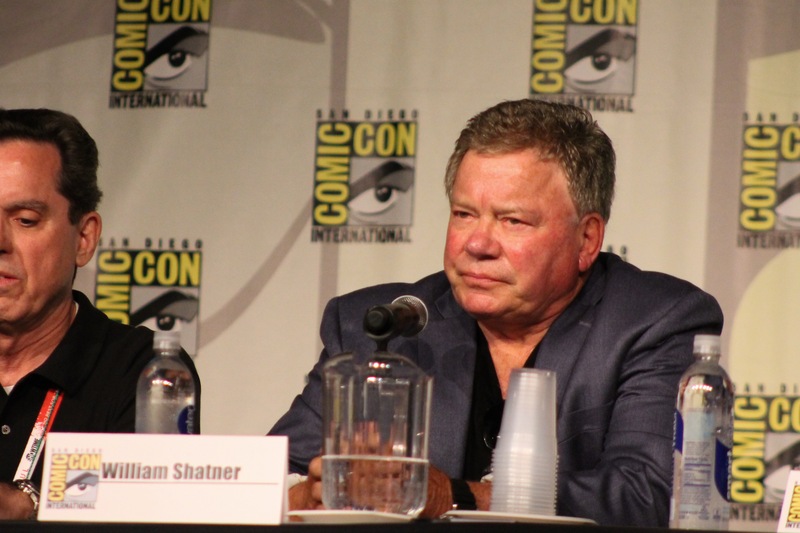 William Shatner, promoting his new digital comic series Man O War. 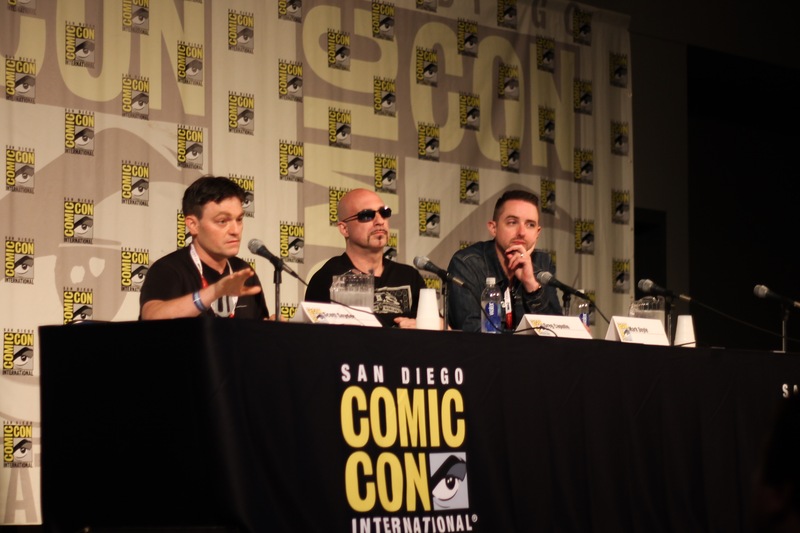 Image Comics: Where Creators Own Aesthetics panel with Rob Guillory (Chew), Jamie McKelvie (The Wicked + The Divine), Stuart Moore (EGOs), Lee Loughridge (Deadly Class), Scott Snyder (Wytches), and Joshua Williamson (Nailbiter). 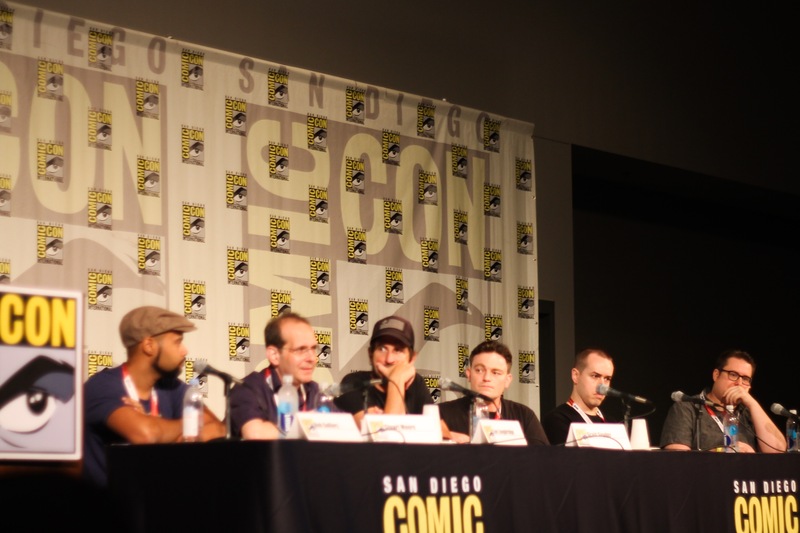 I learned from this entertaining panel, I should really read Nailbiter. 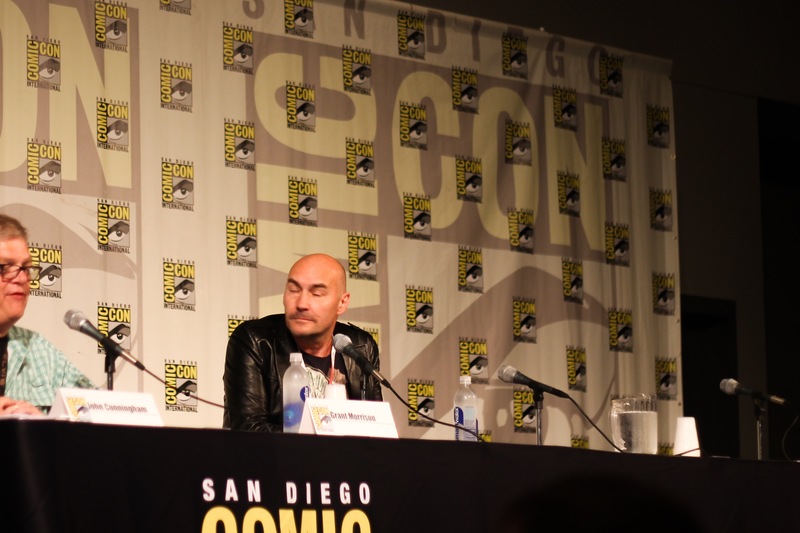 Grant Morrison, at his own panel discussing much on DC’s past and future of Multiversity. His time with us was a blast, as he let loose and shared much insight on his way of thinking and writing. Cosplayers, of which I will feature more in my next posting, Part 3!